This route begin in Belfast and finished in Londonderry. 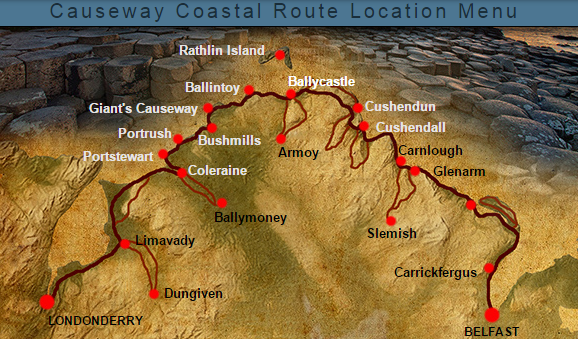 How it name indicated it, this Route is really close to the Nothern Ireland's coast. On this Route, there is so many landscapes to take in, and I would like to share with you the ones that I appreciate the most. 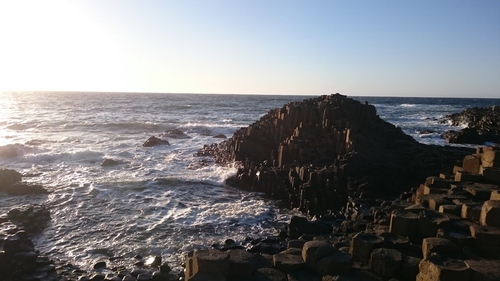 The Giant's Causeway is located close to the city of Bushmills, close to the Northest coast (County Antrim; 2 miles/4.8 kilometers from the east of the city). 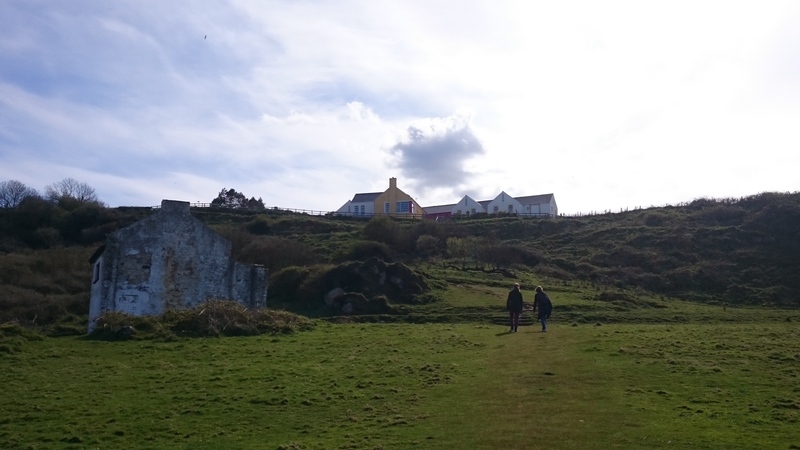 It is one of the Nothern Ireland's top tourist attraction and UNESCO World Heritage site since 1986-1987. It is an are of about 40.000 interlocking basalt columns, the result of a former volcanic eruption. The top of the columns form stones that lead from the cliff foot and sisappear under the sea. The majority of the colums are hexagonal. The tallest are about 12 meters high. The site is open for working all the year and it is free to visit it if you don't want to go in the visitor center. The site is managed by the National Trust, a conservation charity which try to keep it as natural as possible for the visitor experience. The Carrick-a-Rede is a bridge suspended almost 30 meters above the sea. It was first erected by salmon fishermen 350 years ago. Nowadays, these bridge us a popular tourist destination. It attracts thousands tourist each years. 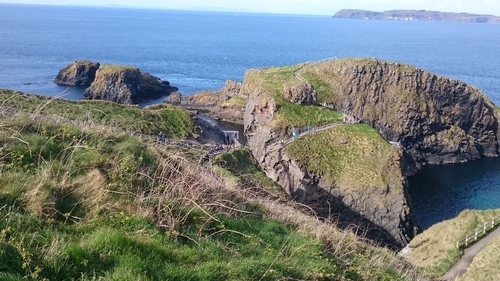 The bridge is long of 20 meters, linking the mainland to "Rocky Island". In these island you have a wonderful view on the Rathlin Island and Scotland. 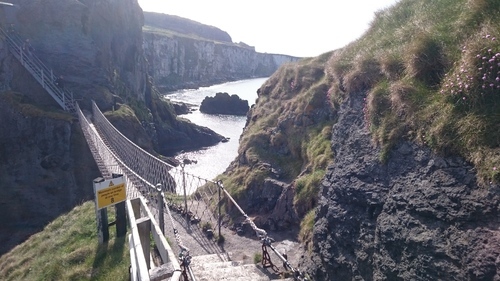 A short footpath (close to one kilometers) leads to Carrick-a-Rede Rope Bridge. On the way, there are gorgeous point of view, where tourist take picture of the landscape (there is also some scenes shoting in these county). Tourist can take the footpath for free but the crossinf of the bridge is not free. (Adult: £5.90, Child: £3.00). Final access to Rope Bridge is 45 minutes before the closing time. It is closed the 24th, 25th and 26th of December. 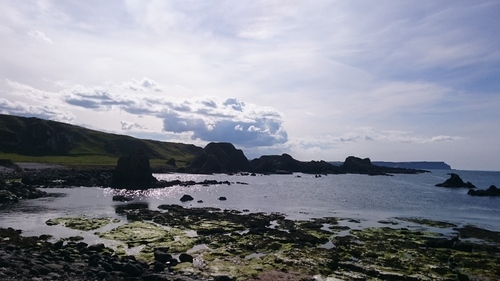 Ballintoy is situated between the Giant's Causeway and Carrick-a-Rede. 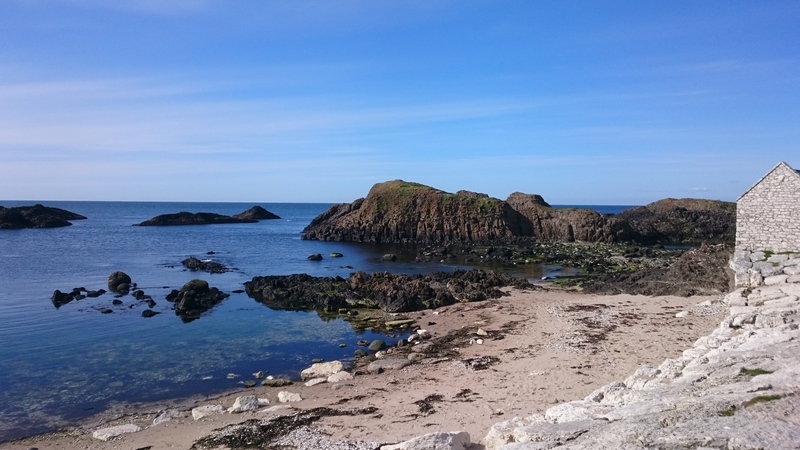 The Ballintoy Harbour is built from limestone blocks and surrounted by limestone cliffs was once a hub for north coast fishing, boat building and local industries. There is a house which catch the attention. This house was build by Newton Penprase, an artist. Tourist can take a walk close to the ocean. The village was used for the fictional town of Lordsport in the Isle of Pyke in the second season of the TV series Game of Thrones in August 2011. 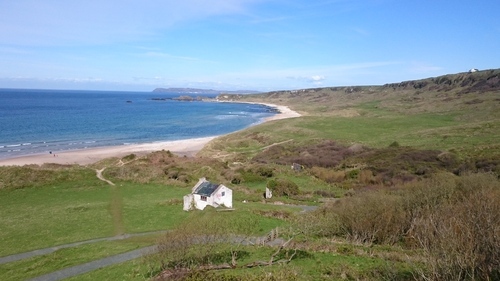 This spectacular sandy beach forms a white arc between two headlands close to the North coast. The beach is supported by dunes that provide a range of rich habitats for the wild life, chiefly the bird life. These bay is one of the most natural coastline sites in Northern Ireland. 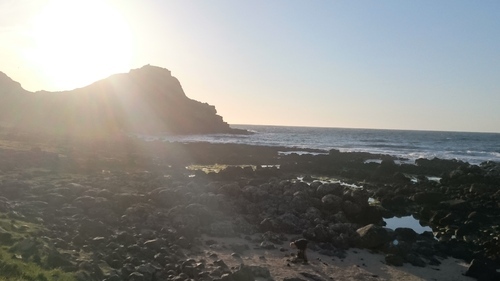 The place is also reknown for archeology, because there is many fossils there. 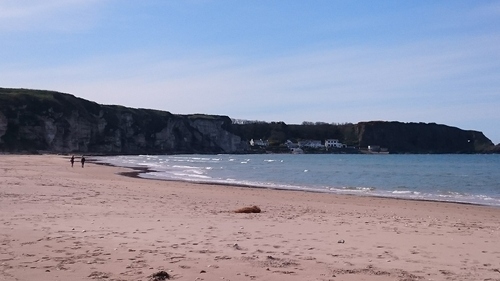 The White Park Bay has been in the care of the National Trust since 1938. 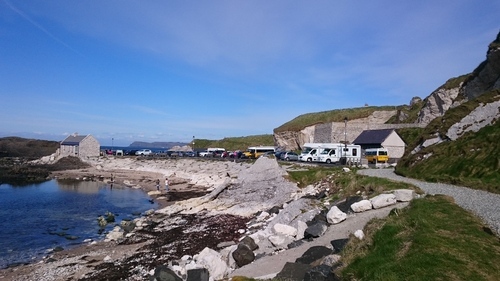 If you want to stay one night their, in a quiet place, the White Park Bay Youth Hostel is perfect for the students (there is also adults who go their). 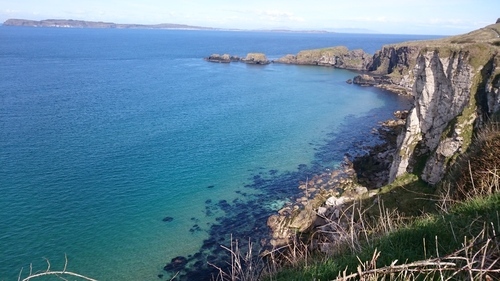 There is a wonderfull view on these bay. 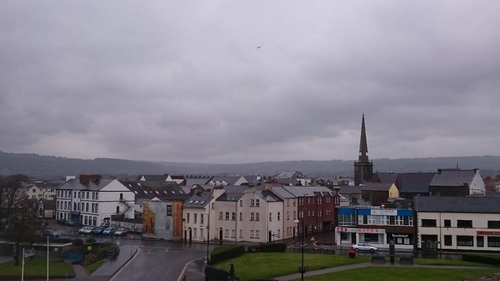 Carrickfergus is a large town in the County Antrim (Northern Ireland). 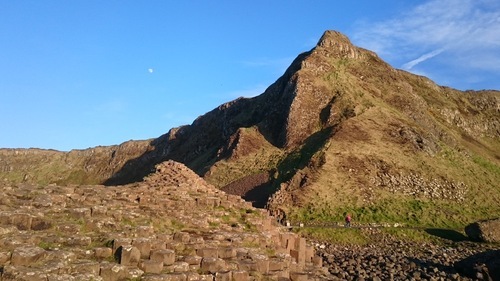 It is located on the north of the city of Belfast, 18 kilometers (11 miles).There is close to 30 ,000 inhabitants in the city. 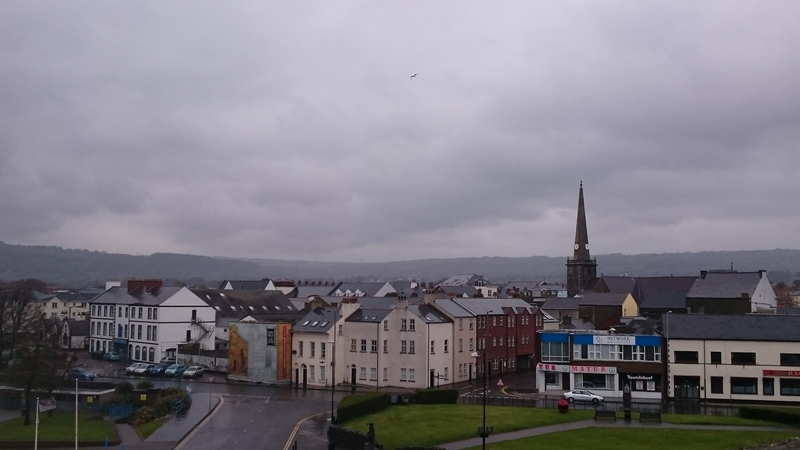 Carrickfergus is one of the most the oldest town of the County Antrim and one of the oldest colony of Ireland. 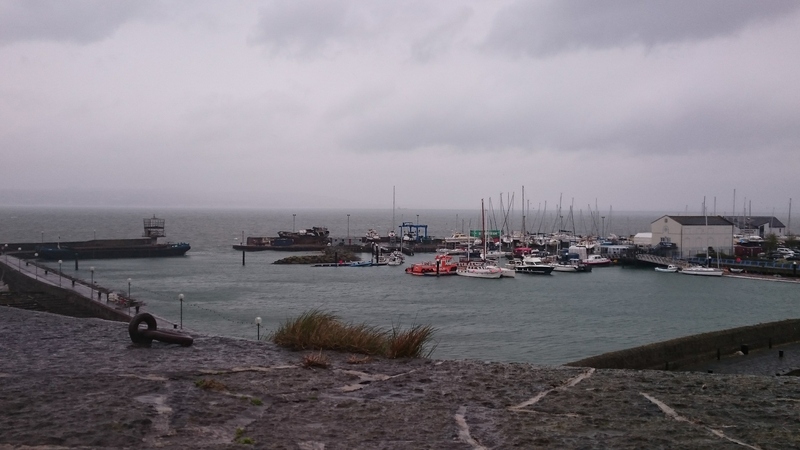 Carrickfergus is also the subject of the classic Irish folk song "Carrickfergus". Come all me young men and lay me down. 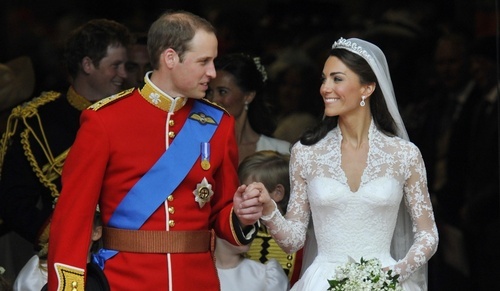 The tittle of Bron Carrickfergus was given to Prince Williams on his wedding days on 29 April 2011. 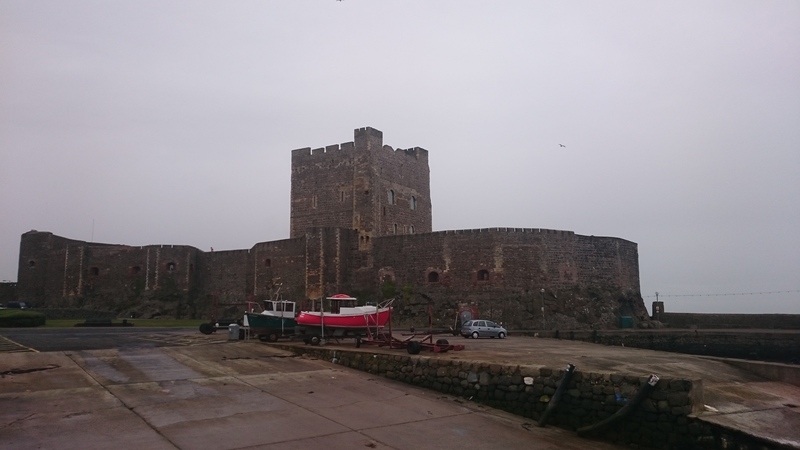 Carrickfergus is reknown for its castle. The castle is build in a Norman style. 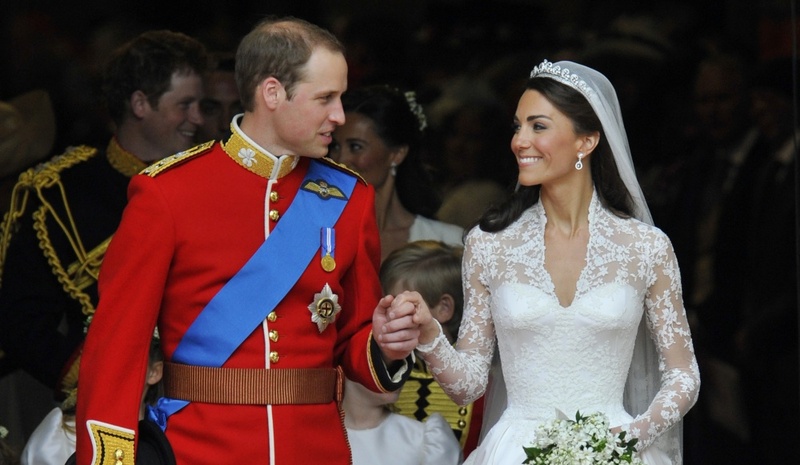 It was the property respectly of Scotish, Irish, English and French. It is one of the best medieval strucutres in Northern Ireland. 3/4 of the castle is surrounded by the water (in modern time it is "only" 1/3). The Carrickfergus Castle is maintained by the Northern Ireland Environment Agency, as a historic monument.